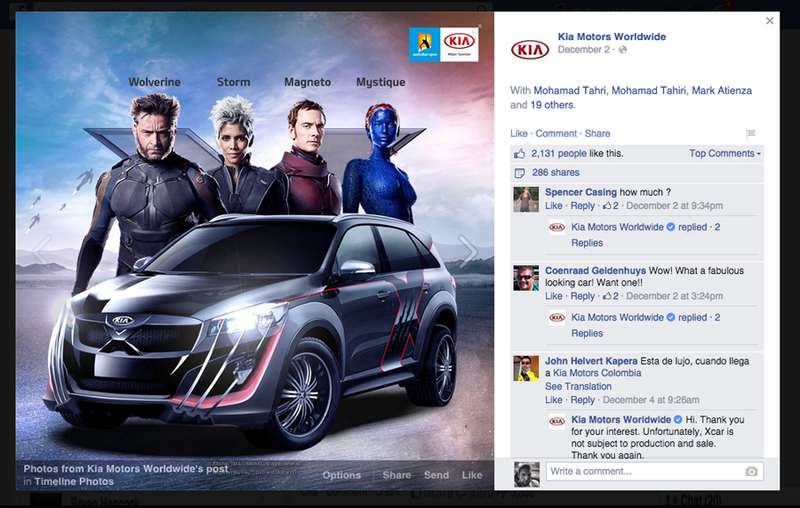 To advertise the new Kia Sorento we created on the global Kia website and the Facebook page a X-Man themed social media campaign. 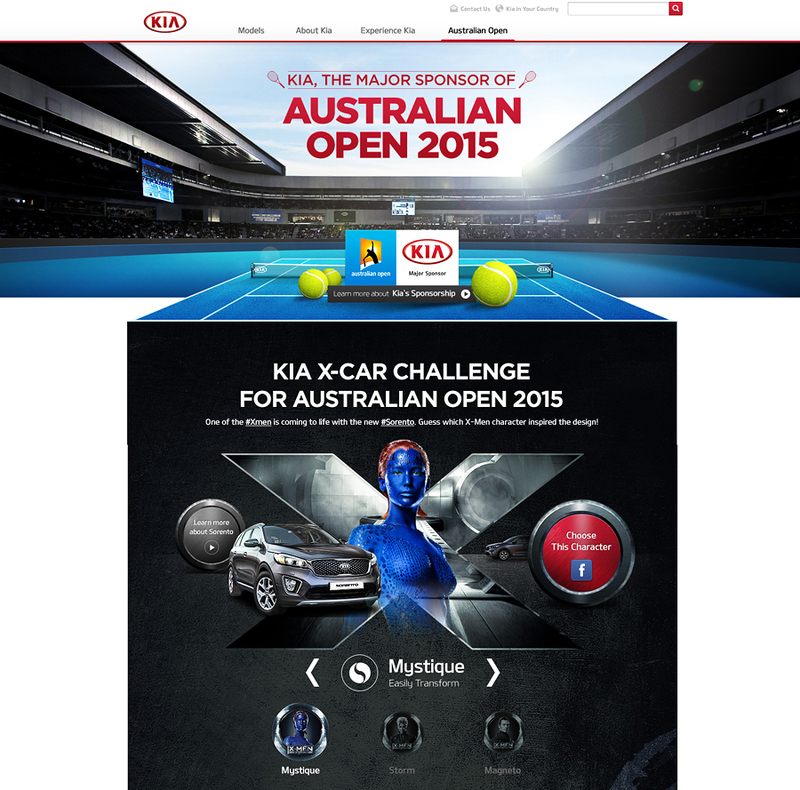 Kia is one of the main sponsors of the 2015 Australian Open and of the 2014 X-Men movie. To benefit from this to sponsorships Kia created a special X-Men customized Kia Sorento and will showcase it during the Australian Open 2015. Users could vote via Facebook which X-Men character will be chosen for the customization theme. Within 2 week the postings got over 150.000 likes and over 1600 shares.